The modern Thanksgiving holiday is a time for celebration, giving of thanks, enjoying family and of course, eating plenty of delicious foodstuffs. The traditions of Thanksgiving in modern America are few but familiar. The presidential turkey pardon, the Macy’s Thanksgiving Day parade and copious consumption of turkey are the primary traditions of the holiday. 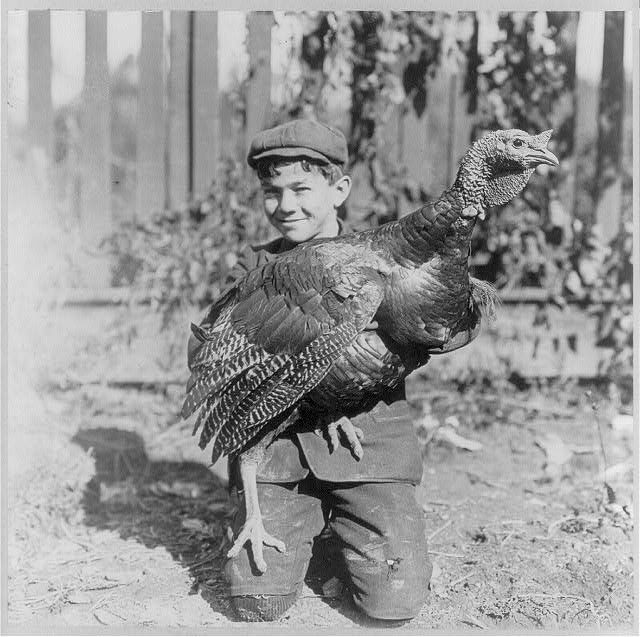 Yet, in the early 20th century, American Thanksgiving had some traditions that were strangely similar to Halloween. After Abraham Lincoln officially proclaimed that Thanksgiving was to be celebrated as a national holiday in 1863, many states began to take part in different festivities and traditions. One tradition that emerged from New York involved children dressing up in all manner of costumes and begging strangers for treats. 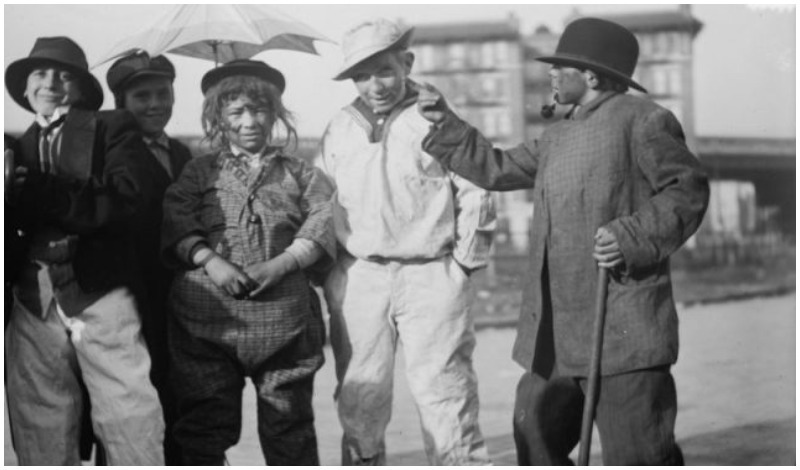 These kids would often dress down, wearing poor people’s clothing as a costume, garnering the nickname of Ragamuffins. 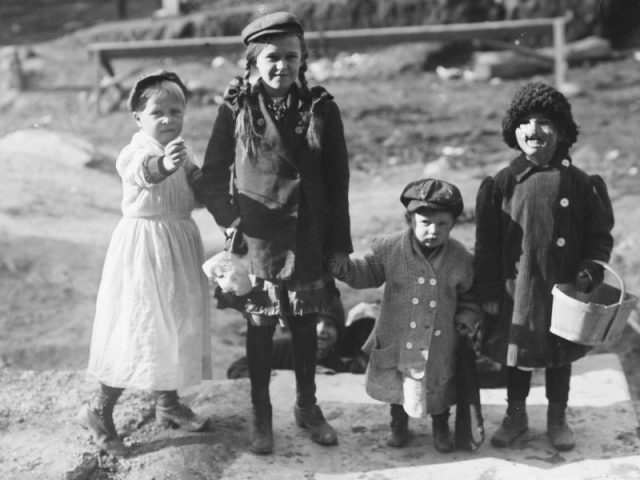 Known colloquially in New York City as Ragamuffin Day, the children would go out on the streets and ask, “Anything for Thanksgiving?” They would be rewarded with candies, fruits or even pennies. Over time, the tradition would expand as the children dressed up as more than just hobos and vagrants. Some would wear face paint, others would put on masks. 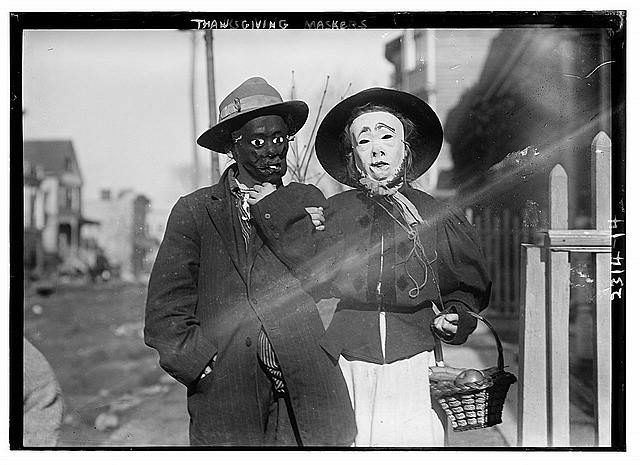 The tradition, beginning in 1870, actually preceded Halloween’s trick or treating. The traditions of Ragamuffin Day would prove to be very popular in New York City. Large swathes of costumed children would parade throughout the streets, giving credence to the idea of a Ragamuffin Parade. The costumes would grow more elaborate and for a time, the strange custom would be widely accepted within New York City. Other states would imitate the practice as well, although not to the wide degree that NYC would. And of course, this tradition provided valuable business to stores that were looking to ply their wares. Paper mache used to create masks, candies for the children — all of these were advertised and sold by merchants who took full advantage of the holiday demands. 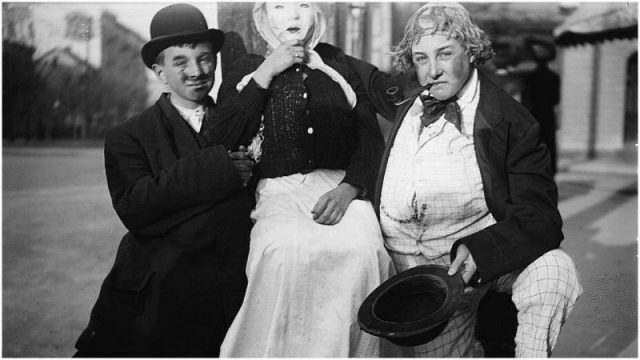 Children wanted to be dressed as sailors, businessmen, Charlie Chaplin-esque tramps, and even as animals. The costume and mask industry did very well during this period. Unfortunately, the widespread tradition of Ragamuffin Day would not survive. What once started out as a lark, a fun way for children and adults to enjoy a holiday together, soon grew to be an annoyance to the refined and sophisticated crowd. Thanksgiving Maskers scramble for pennies. By the 1930s, there were calls from New York Times articles that stated the holiday needed to end, as it was nothing more than an unpleasant distraction for adults. Claiming that the ragamuffin beggars were annoying, adults began to shun the tradition and soon parades were on the decline. 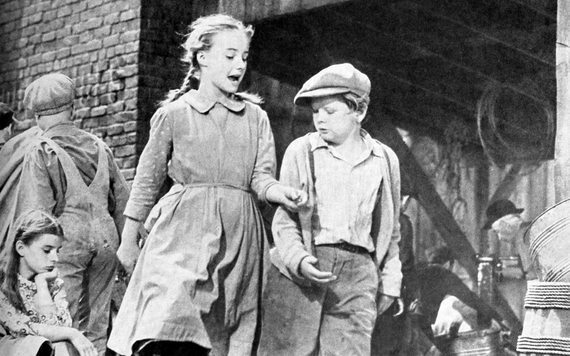 A still from the movie adaption of “A Tree Grows in Brooklyn” where Ragamuffin Day is mentioned. 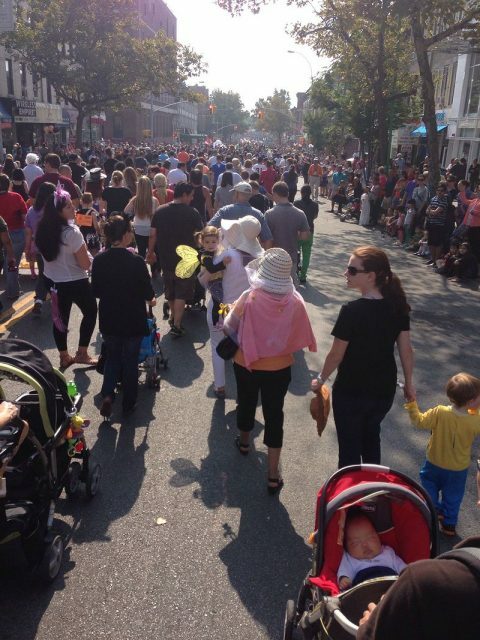 Why would public sentiment turn so quickly against Ragamuffin Day? Simply put, by the arrival of the Great Depression in 1929, which cast a sour mood on the country. With many struggling to find work, and some genuinely reduced to begging in order to survive, the jovial activities of dressing up as a poor person and begging for treats was no longer a novelty. 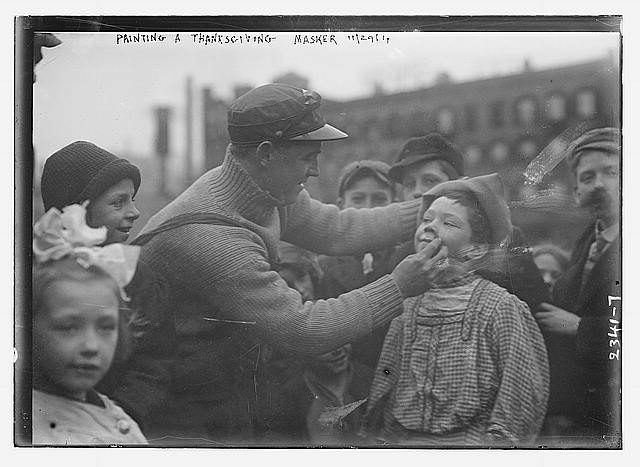 Painting a Thanksgiving Masker, 1911. It was instead a harsh mockery of what the times had become. People didn’t have the resources to give away treats or pennies. 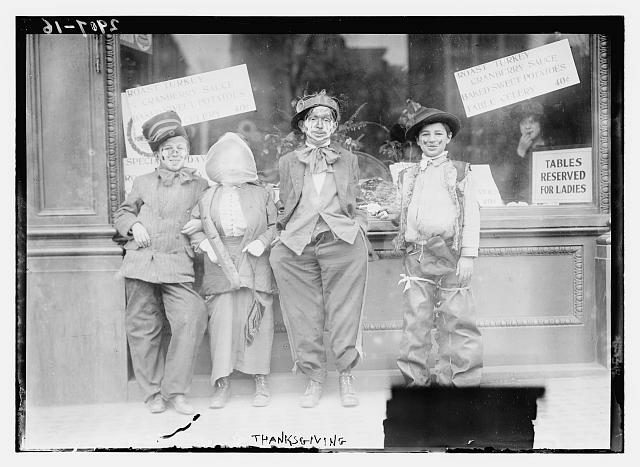 Groups of children, such as the Madison Square Boys Club, began to actively campaign against Ragamuffin Day as well, instead opting to host Thanksgiving Day parades of their own. While many would still dress up, they would march, sometimes with signs that say, “American Boys Don’t Beg,” as a way to indicate that they were not in approval of such activities. Ragamuffin Parades would continue, although less frequently, until the 1950s, where they would evaporate entirely. A few parades would later surface in the early 70s, but by and large, Ragamuffin Day is a bygone relic of American history, a strange tradition that few would eagerly remember and fewer still would continue celebrate. 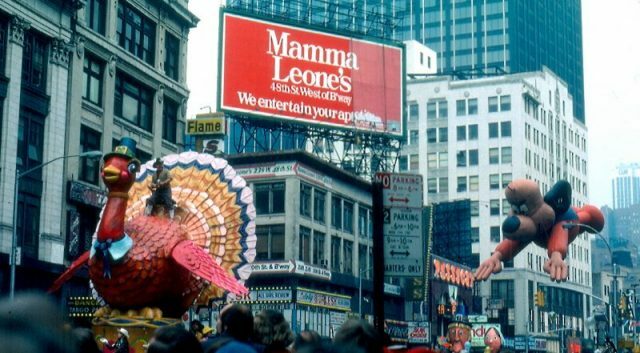 Soon, the Macy’s Day Parade, the main competitor to Ragamuffin Day, would be at the front of center of Thanksgiving and Halloween would go on to fulfill the role of a costume and candy holiday.